The Kanger Aerotank Plus is a 2ml e-Liquid capacity tank that features a unique drip tip that caters to mouth to lung users. The Aerotank Plus also now supports the popular SSOCC atomizer heads which allows for more airflow, vapor, and flavor. 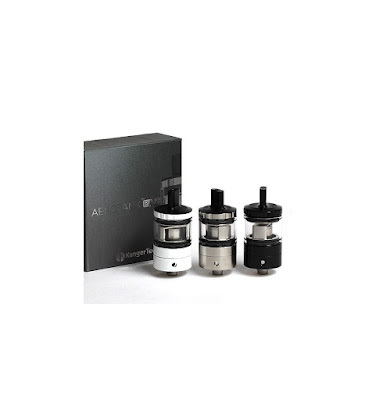 The Aerotank Plus utilizes a 1.8ohm NiChrome SSOCC atomizer head which is recommended at 7 to 18 watts. The Aerotank Plus features the original Aerotank style adjustable airflow valve which features four airflow holes of varying sizes. The Aerotank Plus is conveniently filled from the top and features a durable stainless steel construction. The drip tip and cover may be removed if you prefer to use your 510 drip tip.